There are many big names in UK poker like Dave Colclough, Dave "Devilfish" Ulliott, John Gale, Ben Roberts and Ram Vaswani (to name a random selection of the best) that are regularly cashing at high-stakes events around the globe. 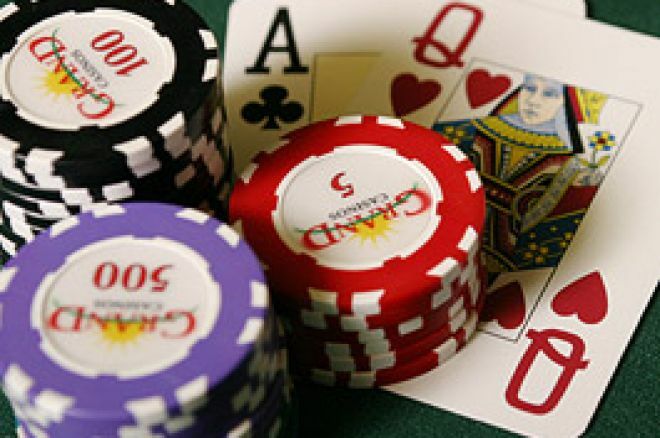 As more money is pumped into the poker world, those at the top are attracted to ever-higher levels of prize money, and this is creating a vacuum into which the pretenders and masses from the on-line world are fast being drawn, quite happily I might add, with the help of natural economic forces. In today's marketing-driven environment for all things gaming, just about every organisation seems to be getting in on the act of promoting poker rooms, tournaments and features. This is naturally done in the name of publicity with one eye on new income in the future. The "customer" willingly pays up since there is always a juicy and often large carrot dangling - in the form of a poker prize! Just this week, a fireman from York, Andy Fenwick, scooped first prize in The Sun Poker Championships held at the Palm Beach Casino in plush Mayfair, London. His prize? A shiny new Mini Cooper to go with a holiday in Las Vegas and $1,000 spending money. Even the second and third placed players left with a top-notch plasma TV and a laptop respectively - all by qualifying on-line. Looking back over this year, we can witness a host of previously unknown individuals who suddenly became rather well-off. We had the Ladbrokespoker.com Poker Million which, as always, stretched across a vast number of televised weeks on Sky TV. A huge amount of commerce was done and at the end of it all, a name emerged from an anonymous factory in Britain to claim the $1,000,000 first prize. Step forward Anthony Jones of Romford! Even earlier, there was the first made-for-TV tournament featuring every heat live on The Poker Channel - The British Poker Open. The wheels of commerce turned rapidly with various heats being sponsored by a number of big on-line companies who sent over several of their big names. For example, one heat alone featured Howard Lederer, Chris "Jesus" Ferguson and Andy Bloch, all of Full Tilt from the USA. Another heat included a classic poker duel between Dave "Devilfish" Ulliott and Gus Hansen. Unforgettable though they were, the final was ultimately won by - you guessed it - an unknown internet qualifier, vanquishing the WSOP 2004 champ, Greg Raymer. This time, all the way from America, Adam Dujmovic came, saw and conquered. Ironically, he qualified via the very British Poker Heaven.com. All I can say with 100% certainty is that 2006 promises many more opportunities for you and me! Ed note: Qualify via Poker Heaven for the 2006 British Poker Open and play live on TV.